The Adenium arabicum is a deciduous succulent within the Apocynaceae family, also known as the “Desert Rose” or “Elephants Foot Plant”. Native to Yemen and Saudi Arabia, this hardy succulent has had to adapt to the harsh growing conditions of hot, dry desserts with limited water and nutrients. These are quite a common houseplant succulent, often cultivated for its unusual growth form, stunning tubular flowers and glossy ovate foliage. With great success, these small tree-like shrubs are used internationally by enthusiasts in the fascinating art of bonsai growing. 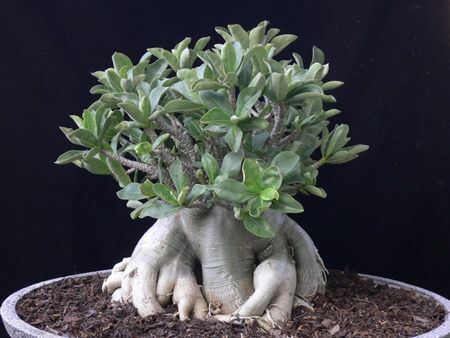 Unique in their rather squat stature, with a large, somewhat swollen and gnarled base, (also known as the “caudex”). This unusual plant shows little differentiation between its chunky trunk, and short finger-like, upright branches. The caudex is a perennial storage organ which contains all of the water and nutrients needed to survive the dry, arid environment of the Adeniums natural habitat. Forms of the Adenium vary from habitat to habitat, but where other plants may diminish, the hardy Adenium can be spotted growing squashed in between granite rocks and cliff faces, along side many species of Euphorbia and wild flowers accustomed to these difficult growing environments. Share with me this journey to find out more about this stunning succulent. We will delve into the growing and care guide, alternative Adenium species and learn about the unusual flowering cycle of this much loved and unique species. 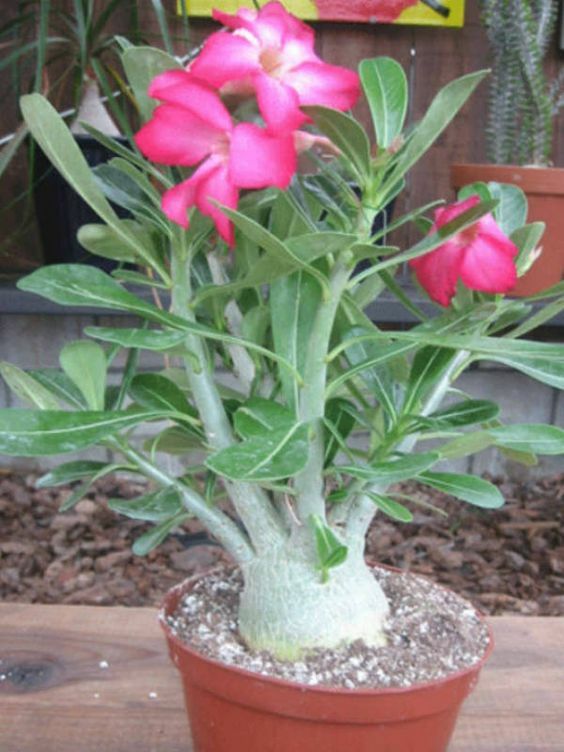 There are many varieties of the Adenium, but most of cultivated versions available are hybrids. I have listed a couple below which are of specific interest, but take a look for yourself to see the wonderful variety of showy flowers and habits available. 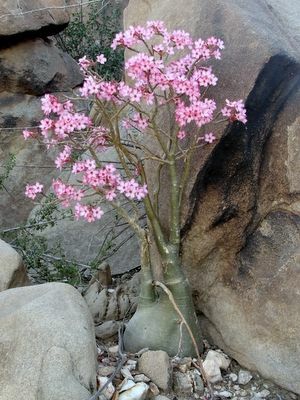 Native to Oman and the adjacent mountains of Yemen, this Adenium has large, glossy thick oval shaped leaves and very small trumpet-shaped pale pink flowers. A long over-looked species and not as aesthetically popular in the houseplant field as others, the Adenium dhofarense has numerous branches arising from a low and wide caudex. Natively, the species is only in leaf for three months of the year throughout the summer time when its habitat is bathed in a continuous mist from the edge of the Asian Monsoon. A popular houseplant and succulent shrub originating throughout Africa, from Senegal to Somalia and the Arabian Peninsula. Often grown for their stunning trumpet-shaped pale pink flowers which beholds a bright and beautiful cerise pink margin. The flowers bloom from October to December amidst a foliage of smooth and glossy, mid-green oval leaves. 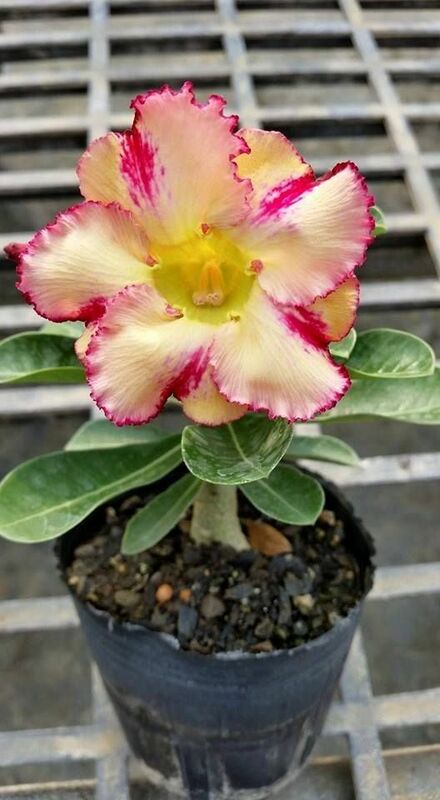 Commonly refereed to as the “Desert Rose”, this slow-growing succulent enjoys a full-sun location whilst growing to a maximum height of around 2 metres, (6 feet). Many of the hybrid varieties of this delightfully colourful succulent have differing foliage and flowers from those mentioned above. The leaves tend to be narrower, though still oblong in shape, with a prominent white mid-rib vein and arranged spirally in clusters towards the tips of the branches. The flowers though, are the real show-stoppers and what catches your attention – perfectly star-shaped and bright coloured. The veins and margins of the blooms are a deeper colour than the flower itself creating a totally tropical vision. The flowers are arranged in clusters on the smooth, grey-green branches, all of which grow from the swollen, rather “squat” caudex. The showy multiples of flared, tubular flowers generally open for only 2 – 3 days and these can often appear before the leaves, which is quite unusual. It is not uncommon to see a crown full of exotic blooms but no leaves at all. Thankfully, with each bloom at 5 cm long and ranging in colour from pink to bright carmine red, the leaves are not noticeably missed. 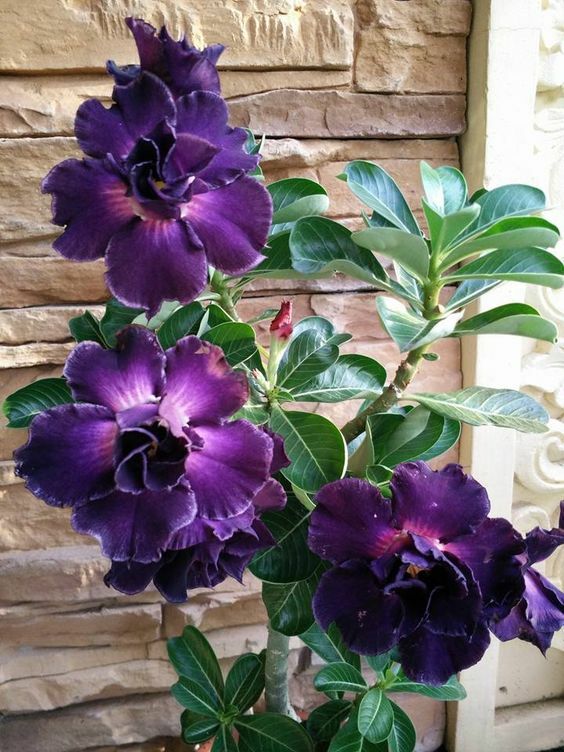 I would recommend using a succulent compost when planting your Adenium and placing it in a temperate, sunny environment of at least 15 degrees C, 59 degrees F. Throughout the winter months it is important to let the Adenium rest by keeping it dry, ensuring a minimum temperature of 10 degrees C, 50 degrees F, is maintained. The fruit capsules of the Adenium species clearly resemble a pair of steer horns, which in infancy are pale green in colour, maturing to a duller shade of grey-brown. Once fully mature, the fruit capsules literally burst, releasing hundreds of long, narrow seeds. At an average length of between 10 – 14 mm, each of these seeds has a hairy tuft at each end. Natively, these tufts would allow the seeds to be blown along the ground, similar to an axle with two wheels. I am sure this “hairy tuft” is just another example of natures adaptation skills. An ingenious method to ensure the continued existence of this unique species; survival in a challenging habitat. 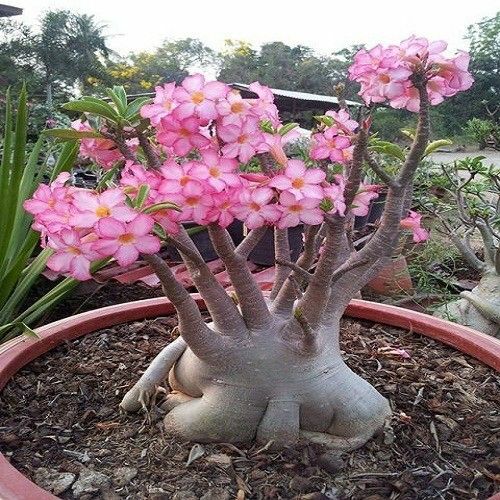 We know that as a succulent, your Adenium is extremely drought tolerant. The worst thing you can do for your plant is to over-water it. Use the same watering rule as for all succulents – throughout the growing season, water well, letting the excess drain away from the pot. After a period where the potting medium has dried out, water again. Do not allow your plant to sit in water. 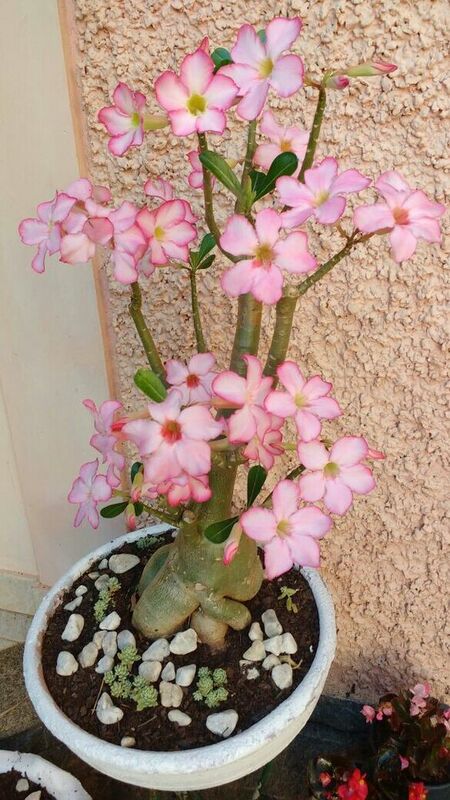 There is a fertiliser specially formulated for the “Desert Rose” succulent, which contains the right balance of N, P, K nutrients for optimal absorption to the roots, foliage and flowers. Alternatively, you can use an organic seaweed fertilizer or specialised succulent feed, diluted as per instructions. In the springtime, when your Adenium is starting to wake up from winter dormancy, I would feed it once every two to three weeks. As the summer arrives, reduce this to once a month and as the weather cools down for the winter, you won’t need to feed your Adenium. These succulents can grow up to around 6 feet, or 2 metres, in height when mature and up to around 2 feet wide, 60 or so cm. Regular pruning will keep your plant in good health and at a manageable size. Throughout the growing season, it is a good idea to pinch out any unruly new growth, keeping your plant in good shape. At the end of the growing season, remove any dead, dying or diseased branches, along with any growth that is not beneficial to your plant and its shape. 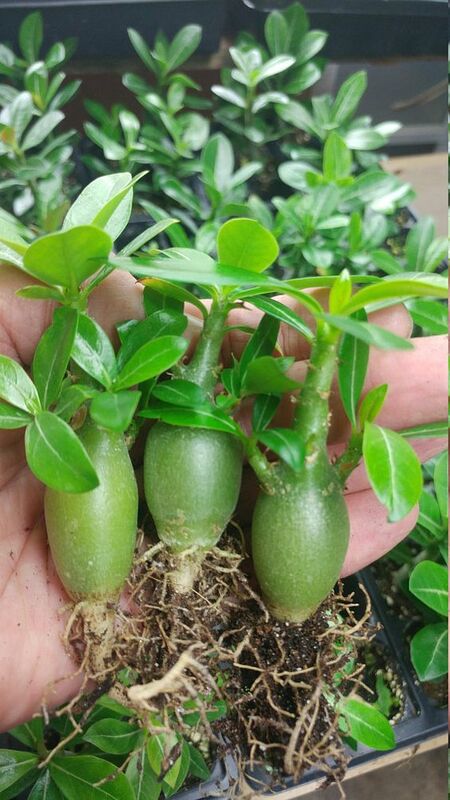 It is possible to grow another “Desert Rose” from cuttings taken from your mother plant, but in this case, you will not see a swollen caudex develop above soil level. After a time, it is possible to your lift semi-mature cutting and unearth the storage organ from below the ground, replanting with the caudex on full show. This will not cause any damage to your plant. Alternatively, there are many, many species of seeds available, all with slightly different qualities but the same beautiful tropical flower clusters. Plants grown from seed produce the most amazing shapes of caudex and nothing gives quite the same sense of satisfaction, in my book. 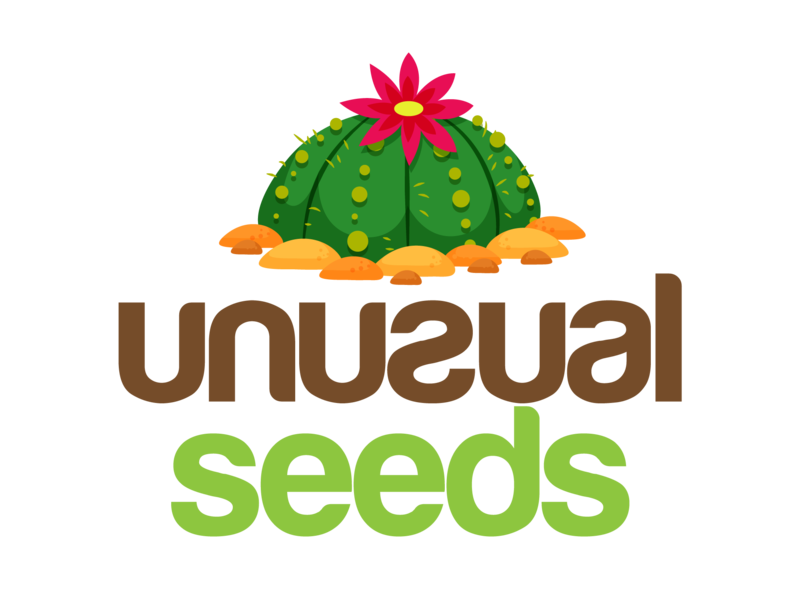 Why not take a look at the large range of Adenium seeds we have available here at unusualseeds.net ? I guarantee you will be amazed. Happy New Year People and let’s get growing!